Where did you intern? I interned at Siemens Gamesa Wind Power in Boulder, Colorado. What did you do there? As a mechanical engineering intern, I was part of a team that modeled, designed and tested new heating systems to prevent ice formation in turbine blades. The primary goal of our design was to reduce energy losses caused by changes in aerodynamic forces due to ice formation. I conducted heat transfer and thermal stress studies as part of a comprehensive, multiphysics model. How did the work you do connect back to your coursework? 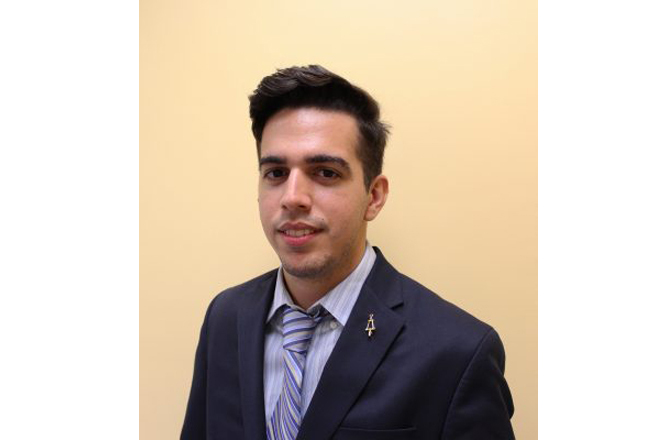 Using my experiences as a mechanical engineering student at FIU, I was able to apply the problem-solving skills developed throughout my college career, as well as the principles learned in courses such as thermodynamics, fluid mechanics and heat transfer to quickly grasp the concepts and ideas driving our project. What was the coolest thing about your experience? It would have to be going to the Logan Wind Farm and experiencing the product of our work firsthand. The number of people involved is impressive – from software engineers, computational fluid dynamics experts, structural engineers to field engineers and operators. Seeing it all come together gave me a great sense of pride and meaning to my work. What did you learn about yourself? By immersing myself in this project, I discovered just how passionate I am about the fields of aerodynamics and turbomachinery. It opened my eyes as to what is possible, and what can be achieved through hard work and dedication. How did you expand your professional network? Throughout my experience, I interacted with professionals from diverse technical and cultural backgrounds. I learned about their experiences and how they differed from my own, as well as how their career paths evolved from college interns to professionals. I also connected with people who share my interests and passions about wind engineering. What advice do you have for others just starting the internship process? You can do it! Believe in yourself, communicate effectively and don’t be afraid to seek guidance. Most importantly, show how passionate you are about your work.